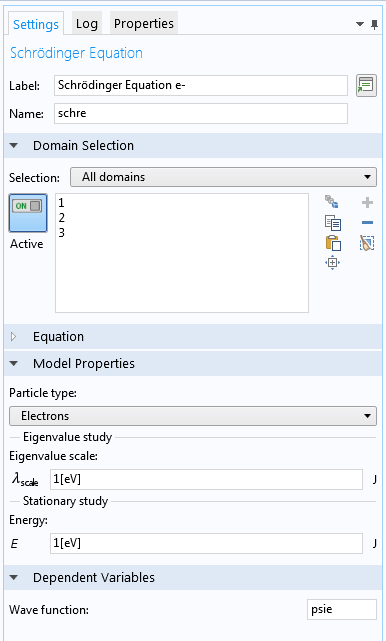 You can use the new Schrödinger Equation interface for modeling with the Semiconductor Module in the latest release of the COMSOL® software. 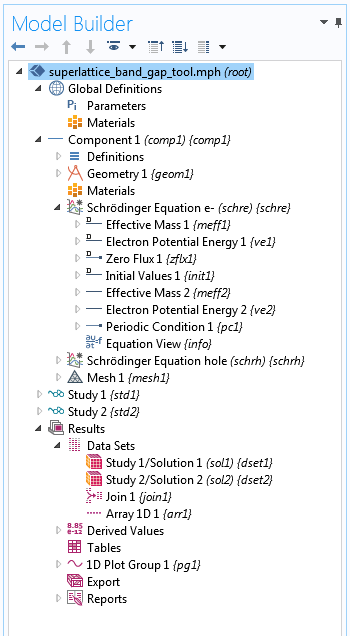 Let’s look at a simple example app that uses this interface to estimate the electron and hole ground state energy levels for a superlattice structure. 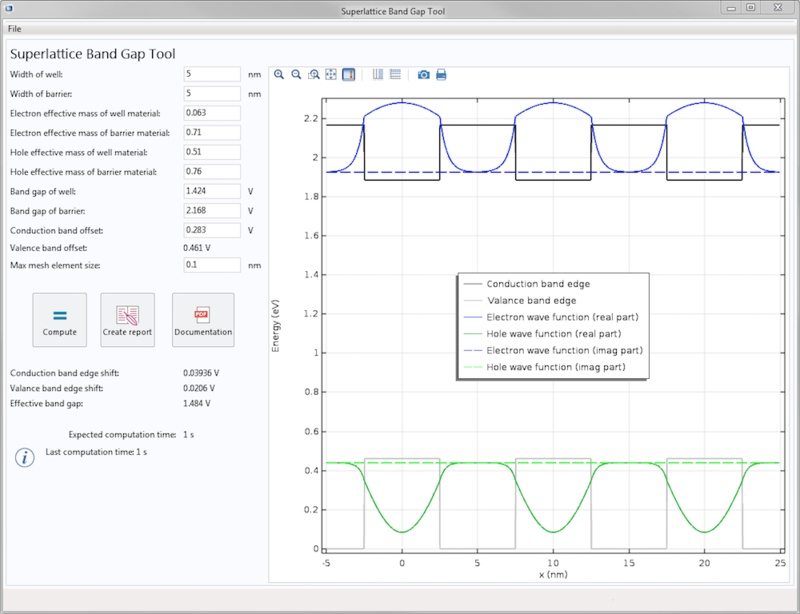 By building apps like this one, device engineers are able to calculate the band gap for a given periodic structure and adjust the design parameters until a desired band gap value is achieved. The results for the Superlattice Band Gap Tool. First, we enter the superlattice parameters in the input fields on the left-hand side of the user interface. The parameters include the widths of the barrier and the well layer, effective masses for the holes and electrons in those layers, band gaps in those layers, and conduction band offset. After those values are entered, the valence band offset is calculated and updated automatically. We should then check that this value is positive. We also have control over the maximum element size for the mesh used for the studies. After clicking on the Compute button, the resulting shift in the conduction and valence band edges and the effective band gap are displayed on the left. The Graphics window on the right shows the electron and hole wave functions together with the conduction and valence band edges. The embedded model for our app is straightforward and easy to understand. Two Schrödinger Equation interfaces are used: one for electrons and the other for holes. Under each interface, two Electron Potential Energy nodes are used to set up the square-wave-shaped band edge and similarly, two Effective Mass nodes are used to set up the effective masses in the well and barrier regions. Only one unit cell of the superlattice structure needs to be included in the model, with the endpoints assigned to the Periodic Condition boundary condition. The Model Builder tree structure for the underlying model. The ground state energies of the electrons and holes are solved separately in two eigenvalue studies. 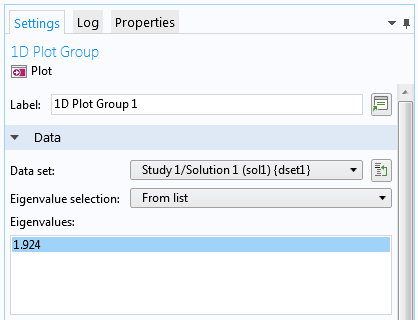 The result is extended from one to three unit cells using the Array 1D data set, which is also new in version 5.3 of the COMSOL Multiphysics® software. There are some parameters in the Settings pane of the physics interface worth noting. The Settings pane for the Schrödinger Equation interface. One important parameter is the eigenvalue scale λscale (unit: J). This parameter is used for eigenvalue studies to scale the unitless eigenvalue relative to the eigenenergy. For example, the default value of 1 eV allows the numerical value of the eigenvalue to take on the value of the eigenenergy in units of eV. Therefore, the eigenvalue of 1.924, shown in the screenshot below, corresponds to the eigenenergy of 1.924 eV. The settings for the eigenvalue study. If the eigenvalue scale is set to 1 meV instead, then the same eigenvalue would correspond to the eigenvalue of 1.924 meV (as a result from a different model). Another parameter is the energy E (unit: J), used for stationary studies to specify the total energy for the stationary Schrödinger equation. Note that the energy operator on the right-hand side of the equation takes an opposite sign convention as the one adopted in most textbooks of quantum mechanics. This is because COMSOL Multiphysics takes the engineering convention of exp(+iωt) for time-harmonic solutions, as opposed to the physics convention of exp(–iωt). The engineering convention is adopted for the Schrödinger Equation interface so that the sign convention is consistent within the COMSOL® product suite. Under this unusual sign convention, the momentum operator also acquires an opposite sign — since a plane wave is now exp(–ikx + iωt), and not exp(+ikx – iωt), as in most textbooks. The sign convention for the Electron Potential Energy domain condition follows the one adopted by the Semiconductor interface. For electron-like particles, the direction of lower energy is in the negative direction of the electron potential energy. Pictorially, this type of particle tends to fall down to the bottom of an electron potential energy well. For hole-like particles, the direction of lower energy is in the positive direction of the electron potential energy, which tends to float up to the top of an electron potential energy peak pictorially. 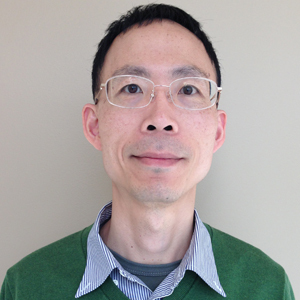 For this model, the Open Boundary boundary condition is used to allow the wave function to leak out of the modeling domain without reflecting back. This boundary condition also has an optional Incoming wave feature and an advanced physics option of Incoming type for the resonant tunneling condition, where 100% of the wave function is injected into the modeling domain without reflecting back out. We hope to see more applications of this new physics interface by our users, for both general quantum mechanics problems as well as for quantum wells, wires, and dots. Is it an ab initio method or semiclassical method? Can I change the shape of barrier or truncate the period at a point or boundary? Dear 峰, Thank you for the comments. No we are not looking at the microstructure of the superlattice, we just take the envelope function approximation to solve a simple Schrodinger Equation for a particle in a square wave potential given by the bulk band edges as shown in the screenshot. Yes you can specify any arbitrary potential profile – just enter a math expression in terms of the spatial coordinates x, y, and/or z in the input field. If the structure has a finite number of periods, then we can’t use the periodic boundary condition and need to include the entire structure in the model. Can the COMSOL module solve time depending Schrödinger Equations?